The biggest improvement here is the change in the material from the cheaper plastic parts on previous LT models. The updated polymer portions have the feel and coloration similar to that of G&G Combat Machine or VFC M4s. As such, they have an overall sturdiness generally not found on rifles in this price range. Additionally, metal has been used instead of plastic on many key parts. Including: the fire selector, bolt release, trigger guard, motor grip plate, magazine catch, charging handle and front end assembly. 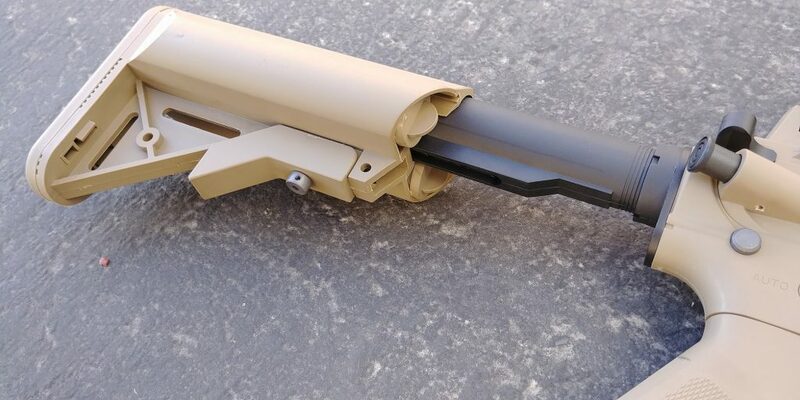 The Upper receiver and barrel are standard dimension too! This means you will be able to change out for your favorite front end accessories and configurations. 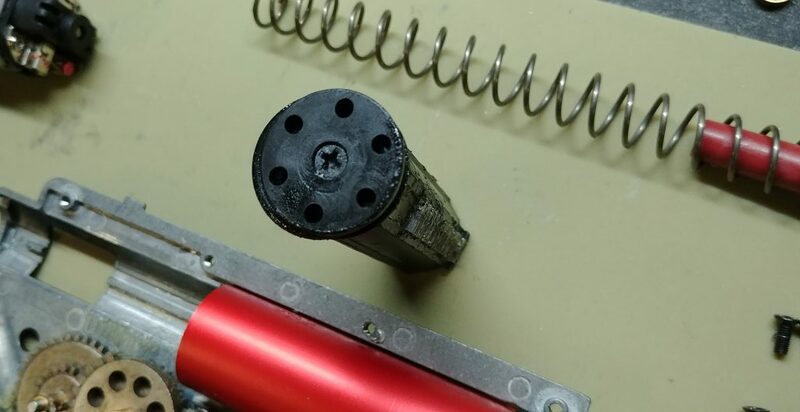 I would like to note that the buffer tube is also made from polymer, but it still seems pretty sturdy due to the part’s thickness and I don’t suspect it would be easy to damage. All of the externals are standard size, so it is able to accept any aftermarket grips and stocks you may want to add. The hop up now utilizes a rotary design very similar to the Prowin Hopups, aside from the chamber itself being made from plastic. The inner barrel is a Brass 6.03mm tight-bore.The superior design leads to some pretty impressive trajectory, especially given the gun’s price point! They have updated the mechbox as well. 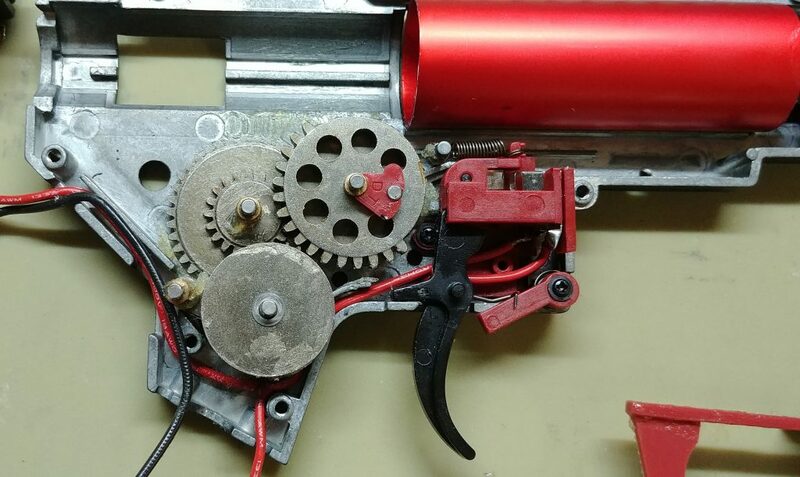 It now features 8mm steel bushings, XYT gears, a full metal rack piston, and a quick change spring which seems to be becoming an industry standard. 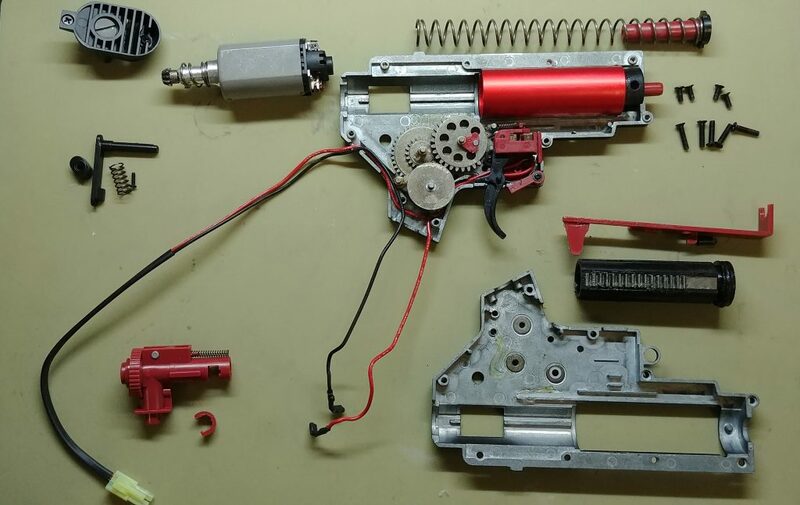 The other parts in the mechbox are typical of China-made guns. 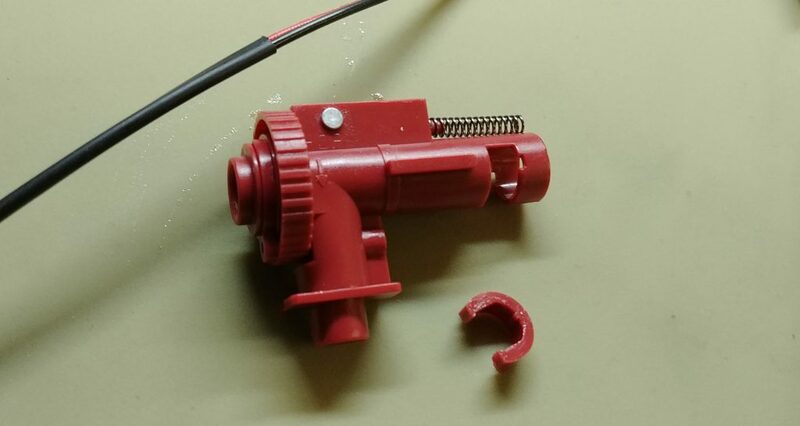 The piston head and air nozzle don’t seal very well in their stock configuration. This could potentially lead to air compression inefficiency. Good news though, the mechbox will accept any standard V2 internal mechbox components! 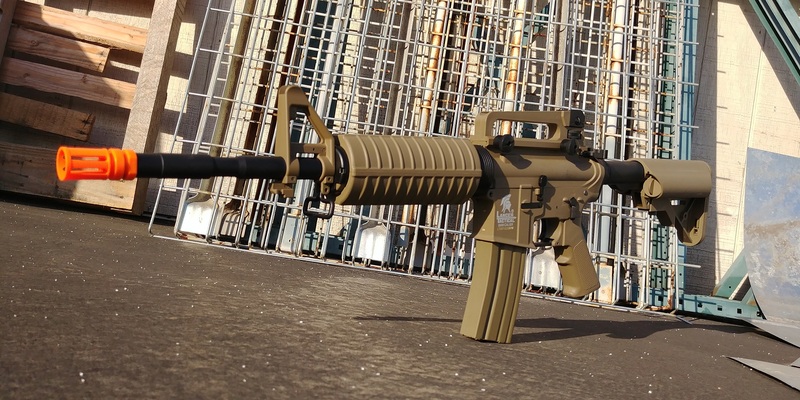 This new line of LT19 M4s from Lancer Tactical is a substantial improvement from their previous production models. Also included is a battery and charger. So, as a beginner you’re almost ready to get out and play straight out of the box. The price point is very competitive for the quality, especially when compared with competitors in the same range. There are some shortcomings as far as tuning goes, as you might expect, but there isn’t anything that effects overall function or that can’t be upgraded. This gun definitely falls in with the trend of all manufacturers steadily improving performance and price point on all models over the years. Check it out!